Left: Robert Neil Elizabeth's father. Right: Janet Neil, Elizabeth's mother. Black and white copies of watercolours owned by Bob Evers. Left: An undated and unnamed portrait found at Milfield. This photograph is a wet collodion positive in a union case which means it was made between 1855 and 1865. The very simple design of the inner brass frame dates it to before 1859. Since Elizabeth died in 1856 it is just possible that this is her. The nose and chin match the painting. 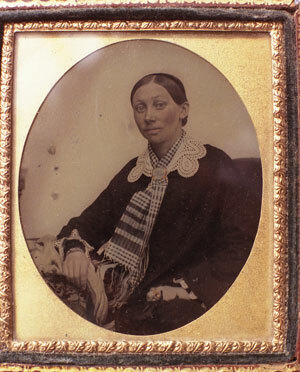 By 1855 she would have been in her mid thirties and have had 8 children, 3 of whom had died as babies, which, if this is her, perhaps accounts for her sad expression. Right: a family tree from a scrapbook at Milfield. 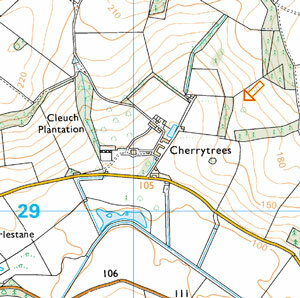 Janet Boyd had a brother called Adam Boyd of Cherrytrees. Her brother's children called themselves Brack-Boyd. 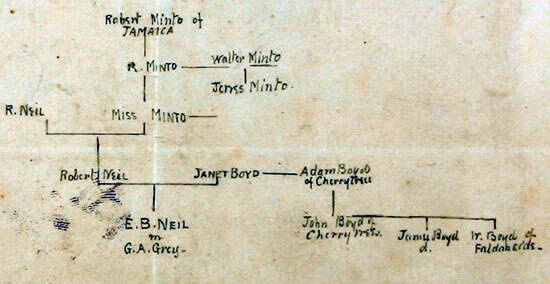 The Minto family, lived in Scotland and had plantations in Jamaica which were worked by slaves. 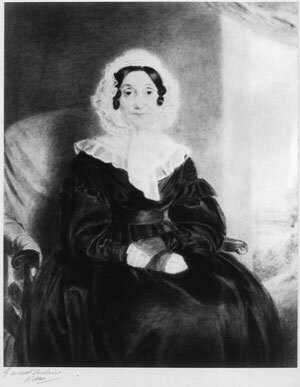 Elizabeth Boyd Neil in marrying George Grey was marrying into a family who held strong anti-slavery views. 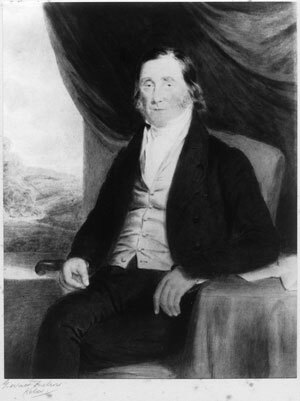 Married George Annett Grey of Milfield at Ilderton on 5 October 1839. 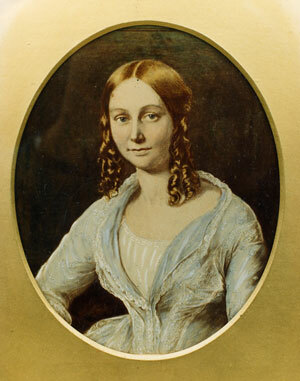 A watercolour copy of an oil portrait of her painted in 1853 by M. Jacob of Berlin. She died aged 36 years and 7 months after having 9 children, only 4 of whom survived into old age. 3 died as infants and two in their early 30s. Undated cutting on page 58 of large scrapbook: "Captain J. W. Brack Boyd. 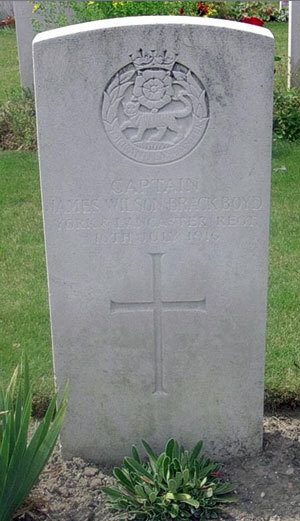 - We sincerely regret to record that Captain James Wilson Brack Boyd. -, York and Lancaster Regiment, attached to the Trench Mortar Brigade, was killed at the front on the 16th inst. by a chance shell while on his way to his battery. He was the only surviving son of Mr William Brack –Boyd of Faldonside, Roxburghshire and was 46 years of age and unmarried. Educated at Cargilfield and Fettes College, he was afterwards for some time in the office of the late Mr James Brunston, chamberlain to his Grace the Duke of Roxburghe. 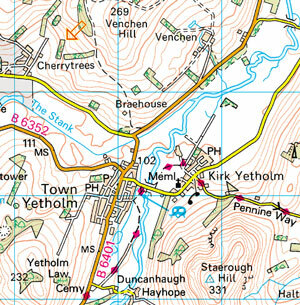 From Broomlands he proceeded to the office of Mr George Grey of Milfield, Northumberland, and left there to become factor to Lord Leith of Fyvie. 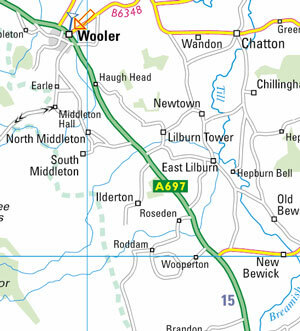 He was afterwards in charge of Mr Grey’s business at Newcastle-on –Tyne, and ultimately he became agent on the Yorkshire estate of Lord Allendale, and for the last seven years had resided at Bretton, near Wakefield, where he was held in high esteem by all with whom he came in contact. In September, 1914- shortly after the outbreak of war- Mr Boyd received a commission in the 3rd Battalion of the York and Lancaster Regiment, and was wounded at the second battle of Ypres in April, 1915. Following his recovery, he was in command of the Machine Gun School at Sunderland, and returned to his battalion only a few weeks ago. Captain Boyd was a man well liked by all who knew him, and especially in the Border district, with which his family has long been honourably identified, his loss will be sincerely deplored." Above: From page 40 of large scrapbook. William Boyd of Faldonside, had lost his first son, Adam, in 1911. 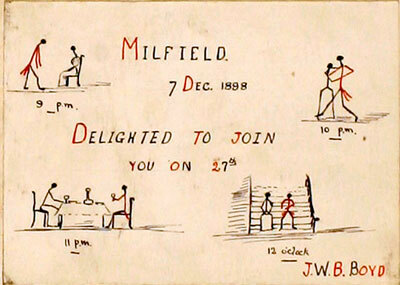 His only surviving son Captain James Wilson Brack- Boyd worked for George Grey of Milfield. He was killed in action at Ypres. 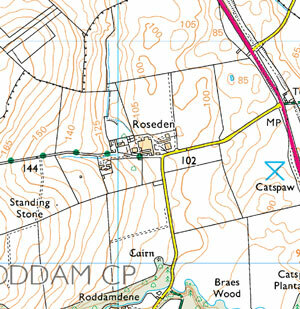 His name is also on the memorial of the Cargilfield Prep School memorial chapel on the Scottish War Memorials Website. The Sydney Morning Herald Wednesday 29 November 1911 Major Adam Brack Boyd-Wilson, a giant and a soldier, 6ft ? ½in high, died at the Waikato district the other day, at the age of 48 (writes our New Zealand correspondent). He had belonged to two distinguished regiments in the old country - the 17th Lancers and the Inniskillen Dragoons. Major Boyd-Wilson was one of the expedition sent to the relief of "Chinese Gordon" in 1885-the expedition led by Wolseley which reached Khartoum a couple of days too late, finding that the place had fallen to the enemy and Gordon had been killed. 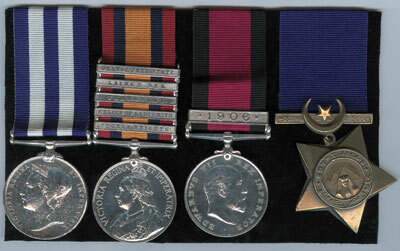 In addition to serving in Egypt Major Boyd-Wilson was with the colours in India. He was second in command of Thornycroft's Horse in the Boer war, and took a leading part in the hot fighting at Spion Kop. He wore a number of medals for bravery and good service. The deceased officer and his wife came to New Zealand about four years ago and settled near Nelson, where Major Boyd-Wilson went in for fruit-farming. He wrote a good deal to some of the leading New Zealand newspapers on sport, fishing in particular, and also contributed valuable articles on defence.